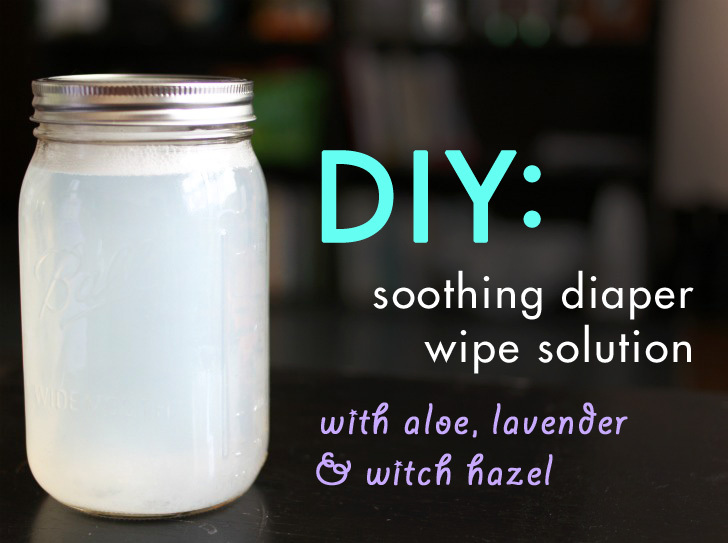 Making your own cloth or disposable baby wipes is great way to save money. However, if you’re using a store-bought diaper wipe solution, you’re still shelling out a lot of cash. Even the most natural solutions on the market contain some preservatives and other extra ingredients that you may not want to use on your little one’s skin. Where baby’s delicate skin is concerned, simple, pure products are best. By making your own diaper wipe solution with just 4 ingredients (and water), you can rest easy. You’ll know exactly what is coming into contact with the most precious parts of your babe. 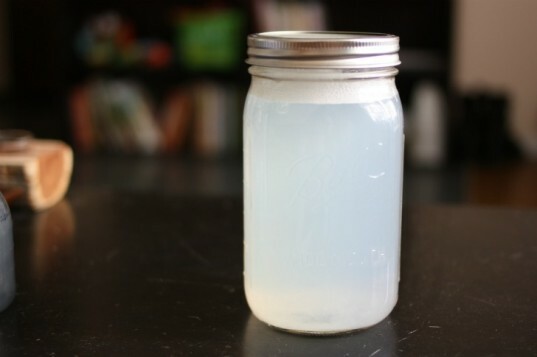 Best of all, the solution takes only minutes to make, so you can easily mix up a batch during nap time, with plenty of time to spare for a cup of tea. In a quart-sized mason jar or bottle, mix aloe vera gel, lavender oil, and liquid Castile soap. Swirl to mix thoroughly. 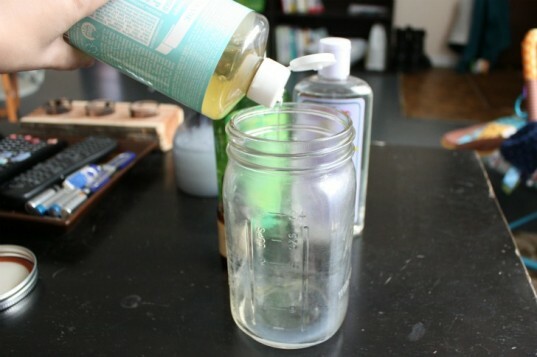 Add water, screw the lid on the jar tightly, and turn the jar over several times to mix without causing the soap to lather. 4. 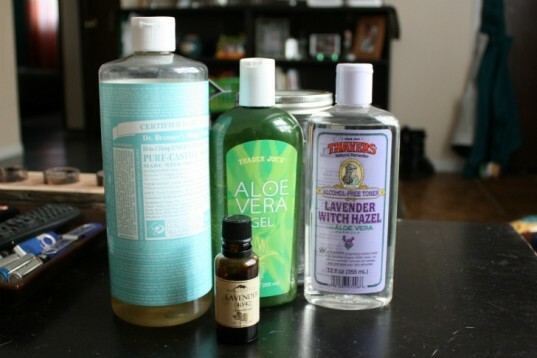 Bottle solution and pamper your baby. 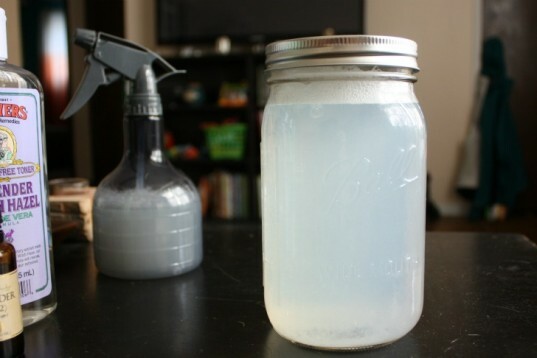 If you plan to use your homemade diaper solution with dry wipes (cloth or paper), pour it into a small spray bottle and store the rest of the solution in the mason jar. Alternatively, you can pre-wet your wipes by storing wipes and solution in a bowl or other shallow container. You can even store pre-moistened wipes in a watertight zippered pouch for travel. If you’re pre-moistening your wipes, use them within 24 hours or toss them in the laundry to avoid mildew. This solution is perfect for gentle diaper clean-ups, but it’s also good for wiping up messy hands and faces.